Nothing is as cool as frozen bubbly! 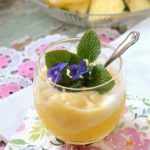 Although Prosecco Pineapple Sorbet Floats are perfect for special occasions, these beauties are not too fussy for a casual affair. So clink and drink up! It’s Spring here in West Virginia. The garden herbs are waking up, the grass is tall and the days are getting warmer. So goodbye Old Man Winter! Don’t forget to take your dark outlook with you when you leave! It’s time to celebrate -and there are many reasons this time of year. Easter and Mothers Day are just around the corner, but you don’t need an excuse to plan a divine brunch! Darling, the warm weather is reason enough! And brunch needs a good cocktail! And hats, the Sunday-go-to meeting kind with wide brims and tons of style… No? Alright, maybe the vitamin D is going to my head. You only have to wear a hat if you want to, but I’m all for sipping Prosecco Pineapple Sorbet Floats on the veranda like a lady. 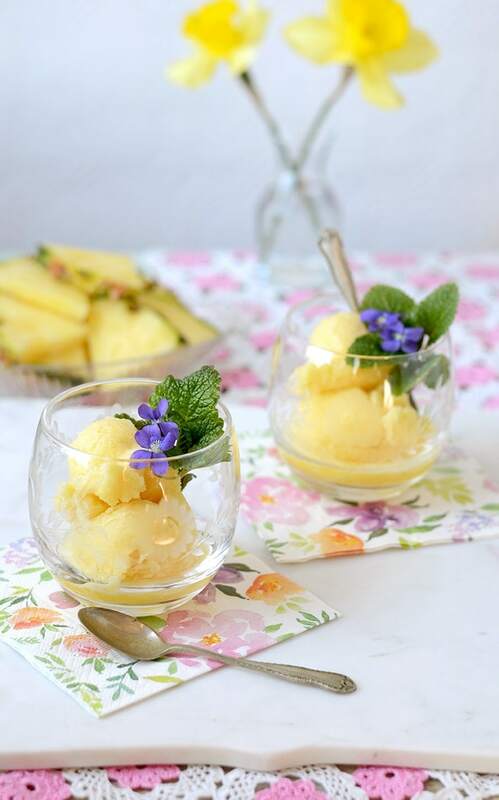 To make Prosecco Pineapple Sorbet Floats you need pineapple sorbet. When I first thought up this combo, I went searching for a ready-made sorbet. Well, let’s just say that all my local stores have a gazillion ice creams, but very few sorbet flavors. Not a problem because sorbet is easy enough to make, it just takes more patience. 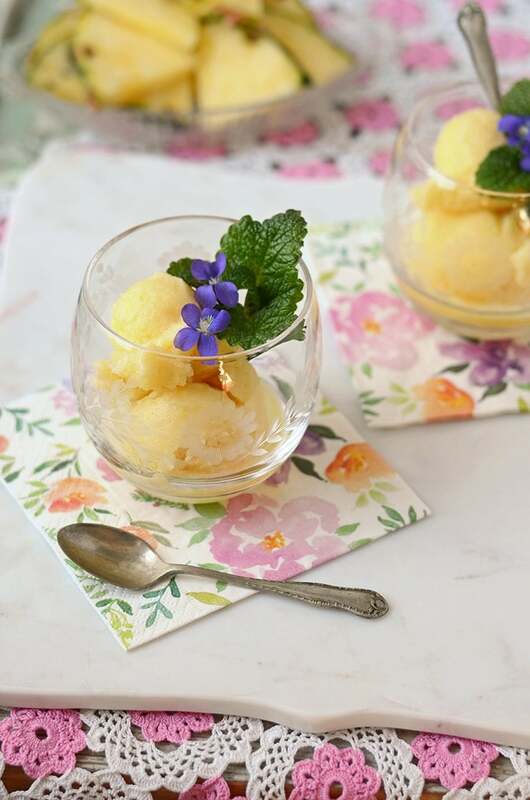 This easy peasy pineapple sorbet is no churn. 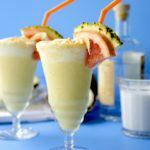 The trick is using frozen pineapple and a high powered blender. With a little agave and pineapple juice, you pulse the mixture until it’s a smoothie texture and then transfer it to the freezer to harden. That’s why you need patience. My freezer is way too full, so it takes a good night of freezing to set up. But in the morning you’ll have a lovely sorbet. 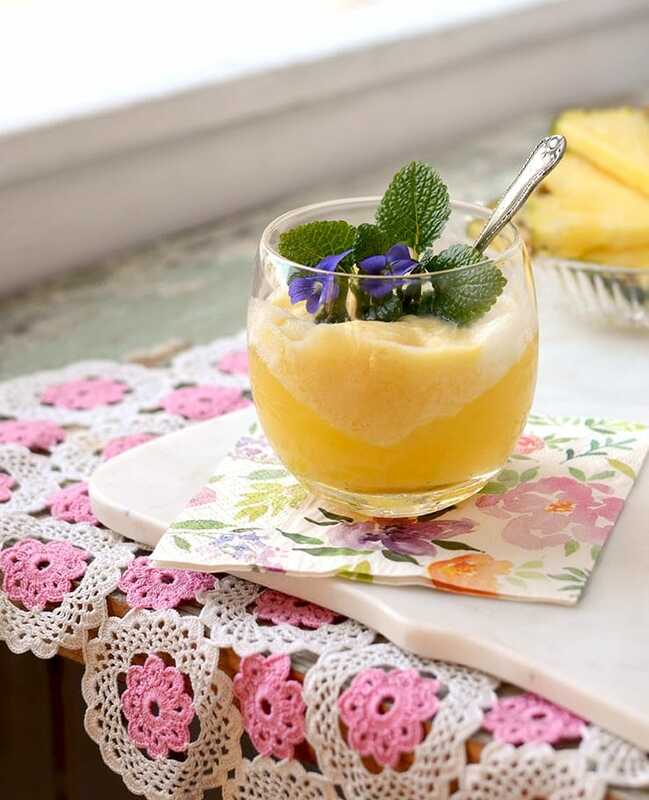 When mixing the Prosecco Pineapple Sorbet Floats, I don’t measure. 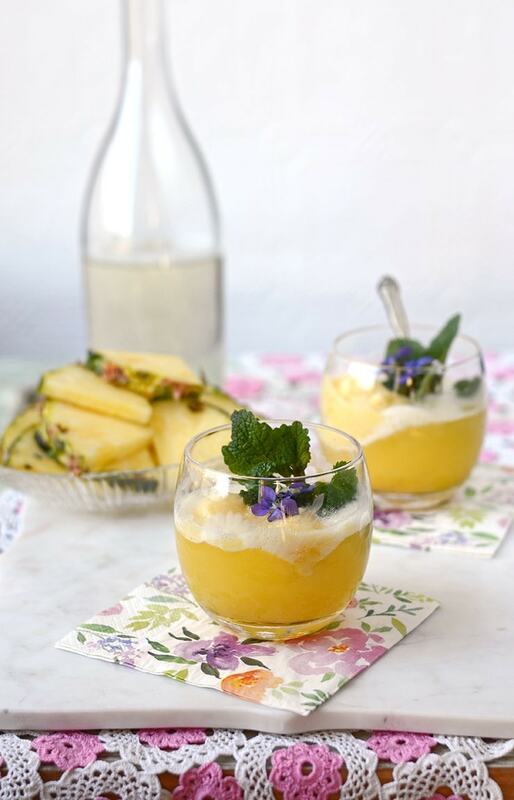 Just place a scoop or two of pineapple sorbet in a glass and pour in some prosecco. That’s all there is to it! Really! What can I say about this cocktail? 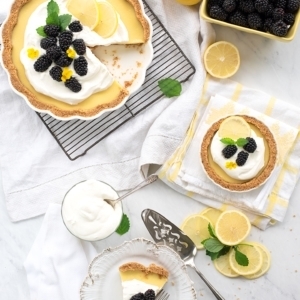 They are the perfect balance between sweet and tangy and oh so frothy! And goodness, the deep golden yellow is sunny like Spring! Now a moment to discuss the look. These glasses are flea market finds. 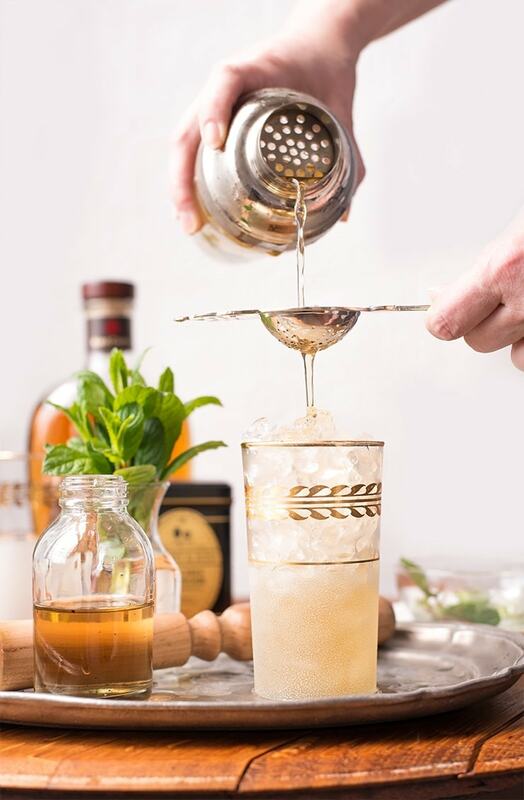 Just simple etched glass and stemless, so don’t feel pressure to serve these cocktails in fancy stemware. The pretty garnish is lemon balm and wild violets from my yard. 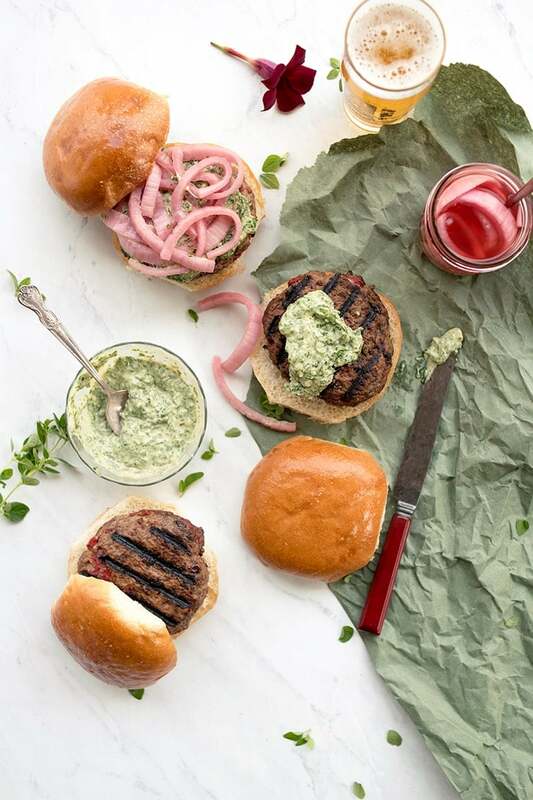 Did you know that those tiny little purple flowers covering your yard are edible? How vintage is this waste not, want not hack? And you guessed it! The spoons were thrift store finds too- $1 for four. The only things in this picture that are new are the marble cutting board (Williams Sonoma Outlet) and the cocktail napkins (Homegoods). So remember that you don’t have to spend a lot of money to be those Sunday brunch, veranda sitting, Prosecco Pineapple Sorbet Float drinking people! 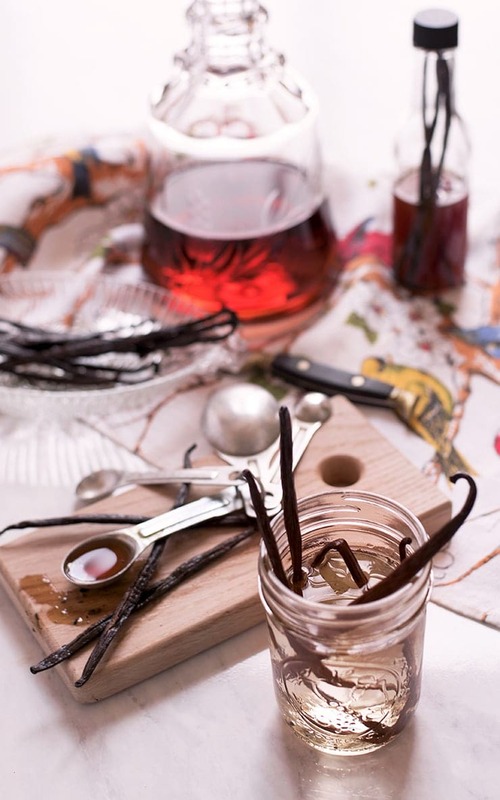 This refreshing float makes a great cocktail or dessert for special occasions. In a blender, combine the pineapple juice and agave. Add about a quarter of the pineapple and pulse. Slowly add in all the pineapple, pulsing with each addtion. The goal is to keep the mixture frozen like a smoothie. Transfer to a container and place in the freezer to harden overnight. 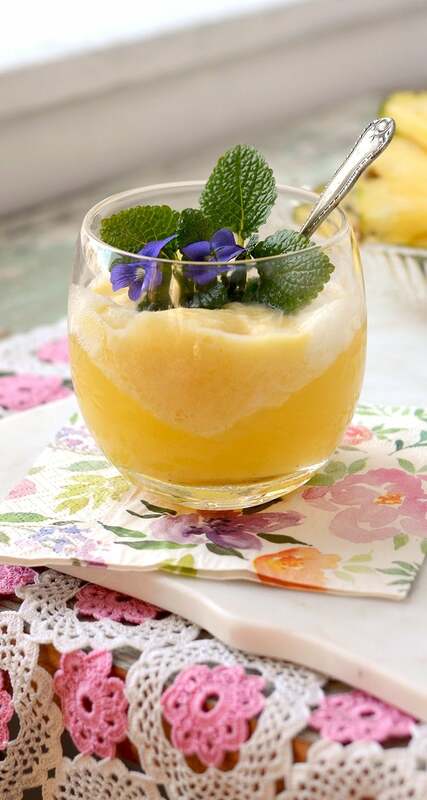 In the bottom of a glass, place a scoop of pineapple sorbet. 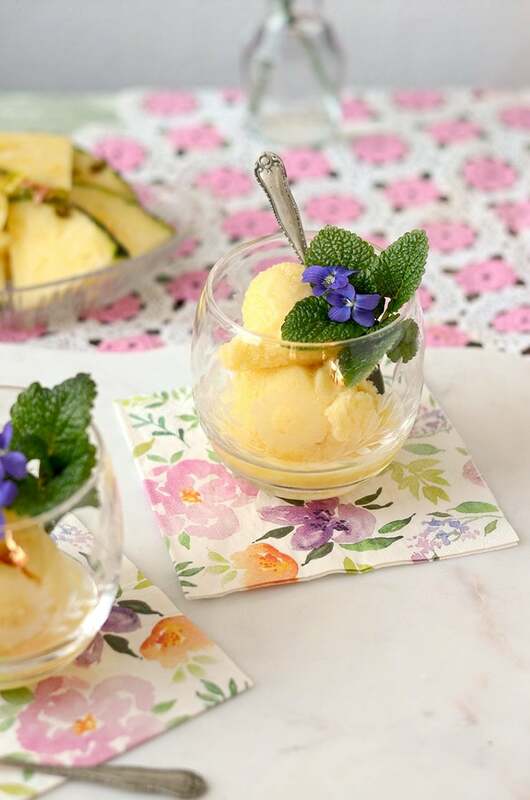 Pop a bottle of Prosecco and pour over the sorbet. 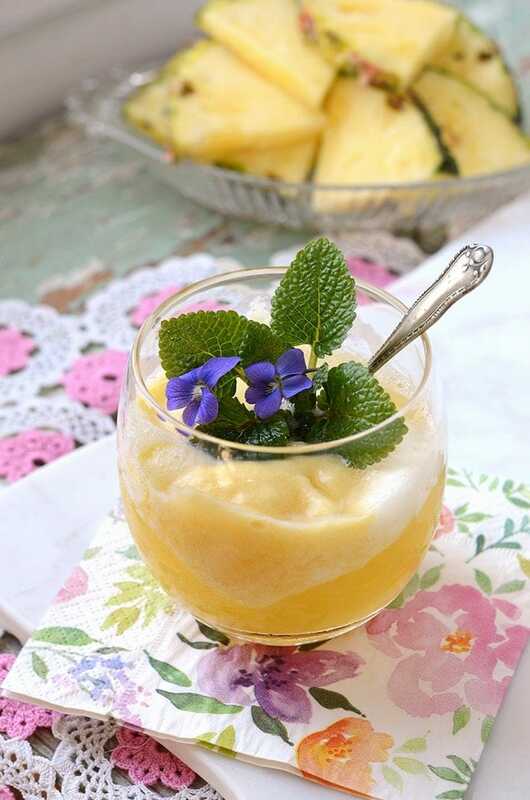 If desired garnish with pineapple slices, mint or edible flowers. Choose a light, sweet Prosecco but don't feel the need to break the bank. 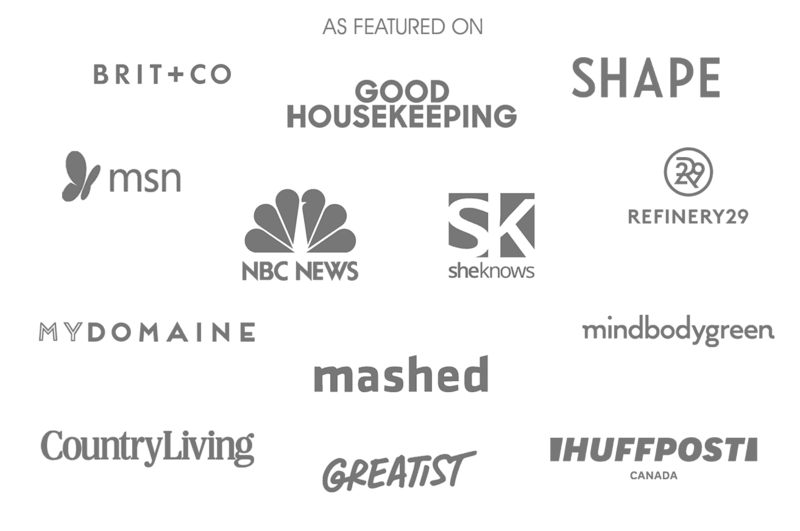 Our selection came from this list. 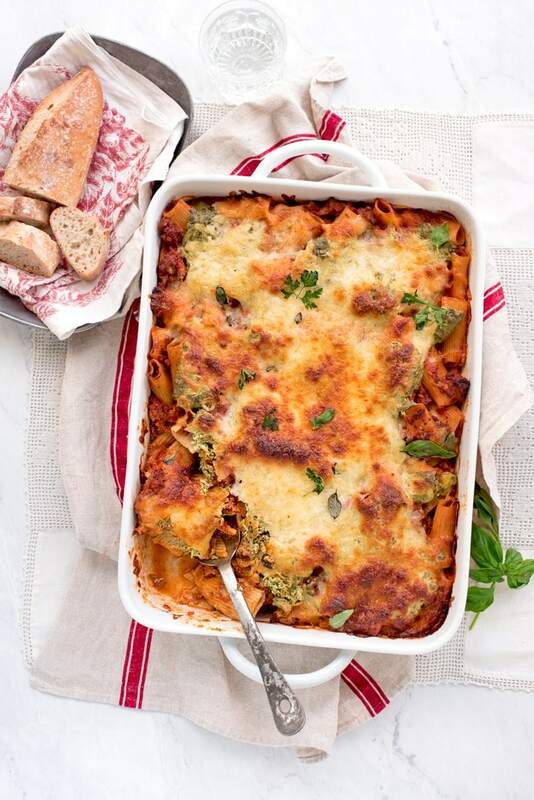 This looks delicious and easy. I happen to have some pineapple in the fridge, so I’ll whip up a batch. So easy and delicious, I used the fresh pineapple and an ice cream maker instead of the frozen, but I think it turned out just as good. Thanks for the recipe! Yum! This looks so refreshing and tasty. Oh it is! Thanks for stopping by! Agave makes everything easier since there’s no sugar to dissolve! Thanks for stopping by Monika! 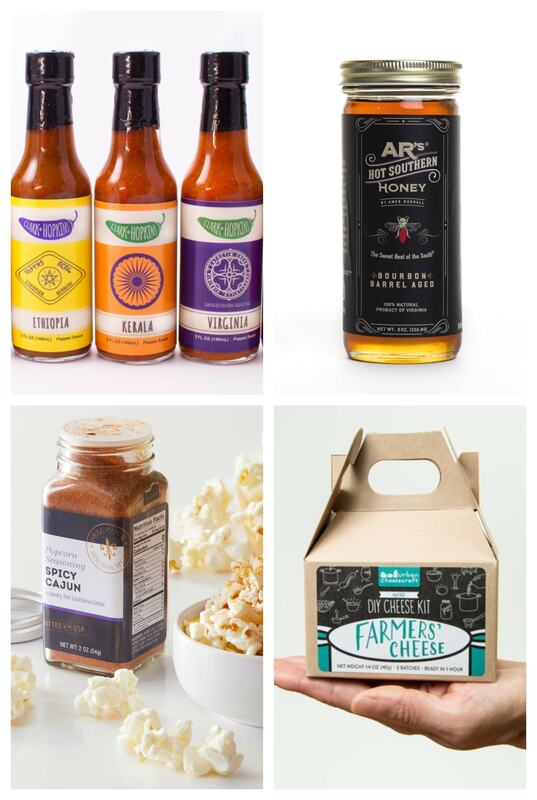 These sounds delicious! And so pretty! So timely. My other 1/2 & I just caught a Giada with Prosecco in the menu. Two favorites in one bite! Mmmm…. sooo fancy! 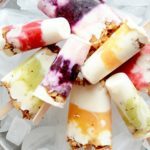 i bet these are so refreshing too! 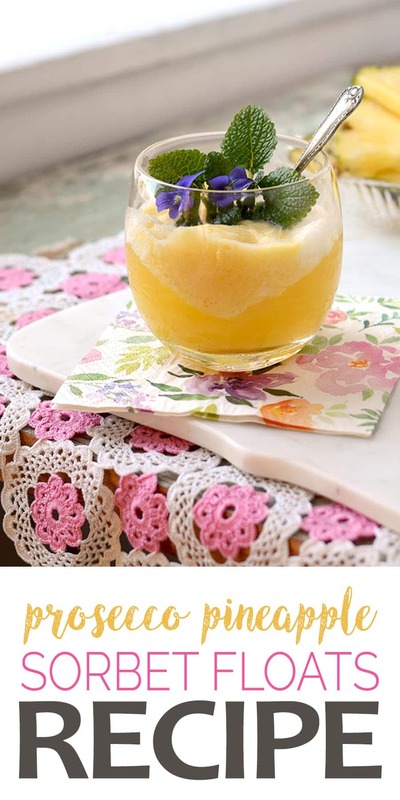 What a perfect springtime drink! 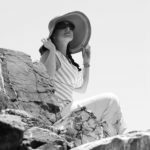 I love Prosecco and have tons of fresh mint–perfect! Oh yum! It sounds so refreshing. Love pineapples! Looks so refreshing and I love how you’ve presented it. I love fresh pineapple. That would be great to enjoy by the pool. So refreshing. Sounds great for summer. I never knew how to make sorbet. This just sounds like summer, I may have to make a batch for this weekend and pretend it didn’t snow here today. It will be in the high 70s by Sunday at least. This sounds delicious and is so pretty. 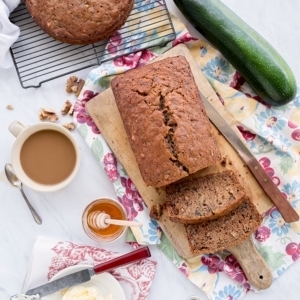 It would be perfect for an Easter Brunch too! I just bought some prosecco. I definitely am making these for Easter! They look delicious!!! Yum! And these look so cute! Dear Lord. I feel like a proper brunching lady just looking at your pictures. I’m inspired to clean my house from top to bottom, take up a collection of pretty plants and flowers, shop for the perfect floral spring dress and get myself waxed and coiffed just to live up to how I imagine drinking those is going to make me feel. Next weekend. It’s happening. These look delicious and pretty! I can just see myself sipping on one, relaxing out on my deck. 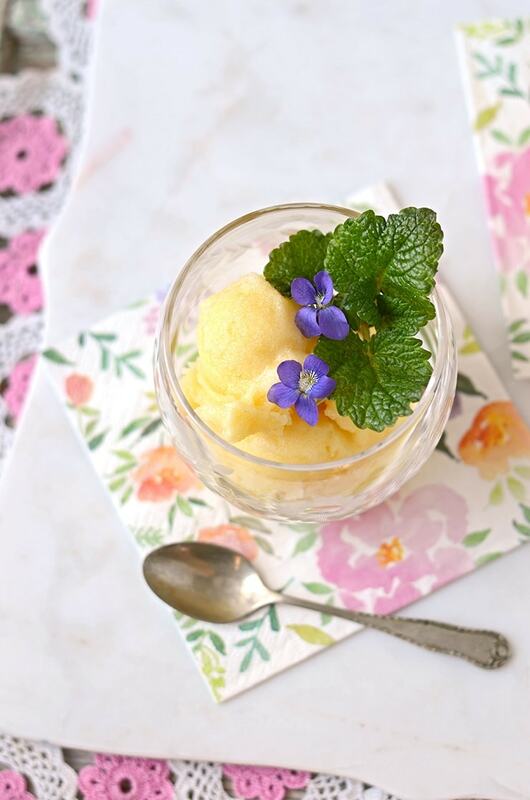 I never knew a sorbet float could be so pretty. 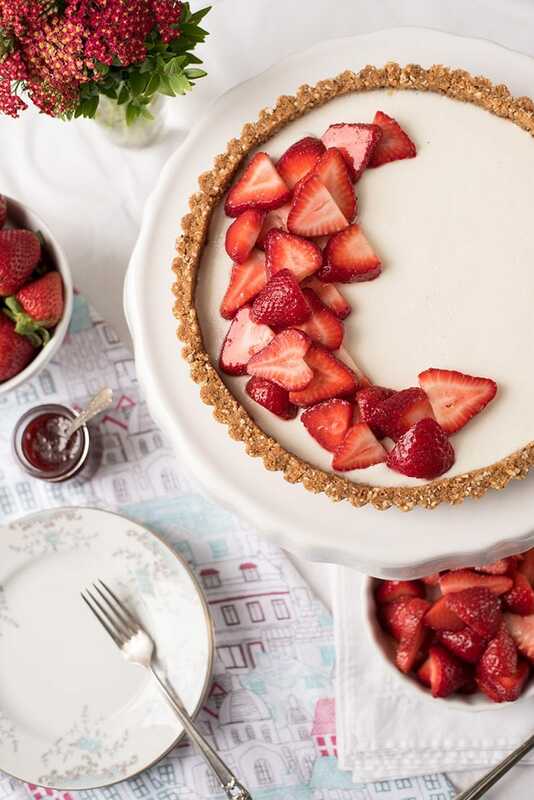 Yummy and pretty is a picture perfect combination! Isn’t pineapple the best? I adore it and it’s super refreshing! 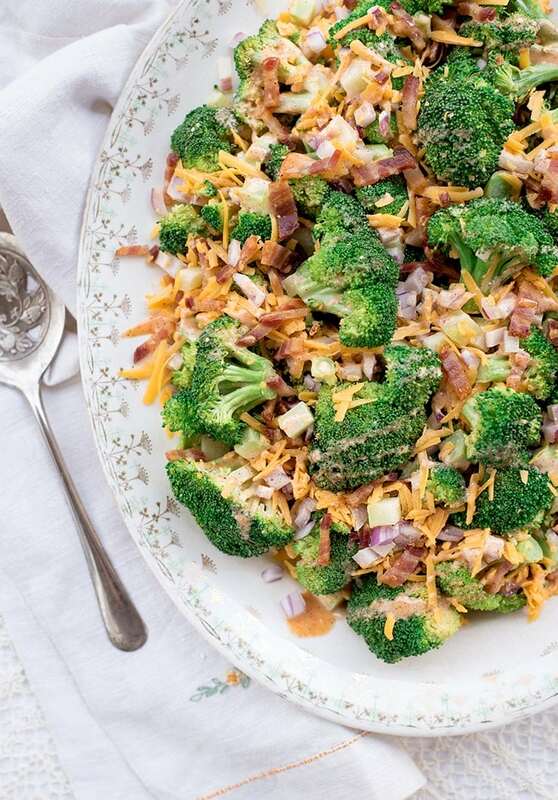 Saving this recipe for sure! Looks good! I have to try these one day! What a fun tropical treat to enjoy. This would be sure to impress your guests. They do look impressive. 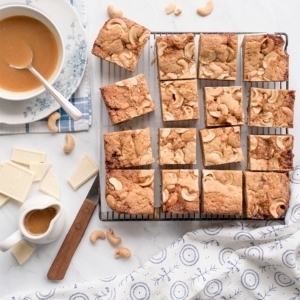 Your guests will never know how easy they are to make! This just looks so refreshing. 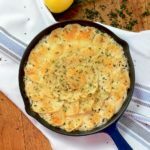 It is perfect for a brunch or after a long, long day at work! Yes! And it’s getting warm enough now to really want something frozen!